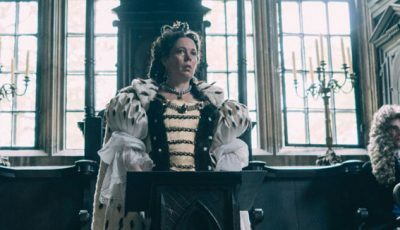 The Oscars’ judges have not just failed to recognise some outstanding lead performances when choosing the nominations for Best Actor but a significant number of supporting roles too as Mark Fraser explains. Although, as Texas ranger Garnett, he is one of the film’s leading characters, Eastwood essentially plays second fiddle to Kevin Costner’s Robert “Butch” Haynes, a prison escapee who becomes a father figure to eight year old Phillip Perry (TJ Lowther) after kidnapping the boy. While Costner gives one of his best ever performances, Eastwood is the movie’s quiet voice of reason – a man who somewhat begrudging keeps his temper in tow until the movie’s brief denouement. THE WINNER: Tommy Lee Jones for The Fugitive. 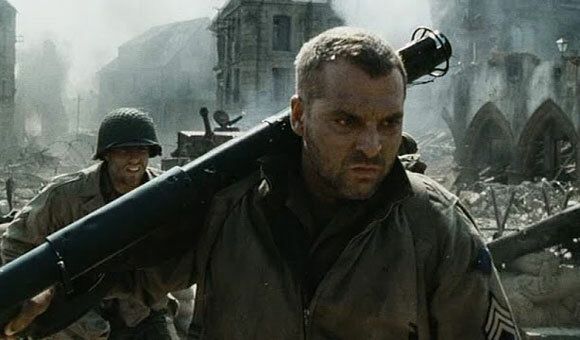 It’s a sturdy performance by Sizemore as the technical sergeant who bravely and loyally backs up his duty-bound leader Captain John Miller (Tom Hanks) on their initial high command mission to find and bring back Private Ryan (Matt Damon) and then during their subsequent and impossible one – that being to hold a small bridge against an advancing German division. Horvath’s death towards the end of the movie’s second big battle scene is not a particularly romantic one – nor is it drawn out in any way – but it remains one of a number of similarly poignant moments in the film. THE WINNER: James Coburn in Affliction. How could someone as insignificant and puny-looking as Garland Greene be the most feared serial killer along the US Eastern Seaboard before being caught? How is it that his reputation precedes him to such a degree that even black revolutionary Nathan “Diamond Dog” Jones (Ving Rhames) is scared of him? Why is it that Greene gets to say some of the film’s most memorable lines? Basically because Buscemi is an absolute scream in a movie that probably would have made a lot of the judges on the academy’s 1998 board squirm. THE WINNER: Cuba Gooding Jnr in Jerry Maguire. Poor Freddy (AKA “Mr Orange”) is in trouble from the start of the film when he lies bleeding to death in the back of a getaway car after a botched bank robbery. 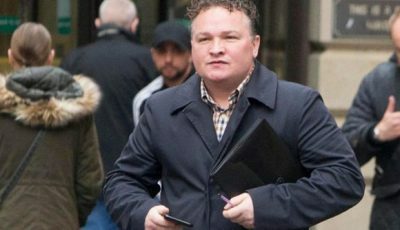 The sad irony is he was largely responsible for the disaster, being an undercover detective who earlier had infiltrated the gang in order to help the authorities bust it. Possibly one of the most protracted deaths in cinema history, it all finally ends when Freddy confesses to “Mr White” (AKA Larry Dimmick, played by Harvey Keitel) – the man who desperately tries to save him to the point of turning against his own criminal bosses – that he really is the snitch. At that point he gets finished off. A difficult role, to be sure. THE WINNER: Gene Hackman in Unforgiven. Guilt-ridden, angry and bitter only just begin to describe Thornton who, at the start of the movie, has already agreed to lead a railroad-backed posse to hunt down his former gang in order to stay out of prison. Ryan is terrific as the only non-degenerate member of his party – a Judas whose time in purgatory is spent leading a bunch of men he absolutely detests. The WINNER: Gig Young in They Shoot Horses, Don’t They? Perhaps not as reprehensible as the members of the degenerate bounty hunters in Peckinpah’s The Wild Bunch (see above), Tuco nevertheless does come a pretty close second. If anything, what separates him from them is his fox-like cunning. While it’s an undeniably hilarious and highly entertaining performance – one in which Tuco successfully manages to be The Man With No Name’s (Clint Eastwood) foil – critics of the day were not impressed. Wrote Renata Adler of The New York Times on January 25, 1968: “Wallach rolls his eyes, makes hideous gastro-intestinal noises to convey shades of emotion, and laughs incessantly. Among his feldspar teeth, there is one capped with what looks like a molten paper clip. He also forgets, from time to time, what sort of ethnic part he is playing; and particularly when he is called upon to shout, his Mexican is laced with Riverdale.” With reviews like that, no wonder Wallach was looked over by the academy. THE WINNER: Jack Albertson in The Subject Was Roses. 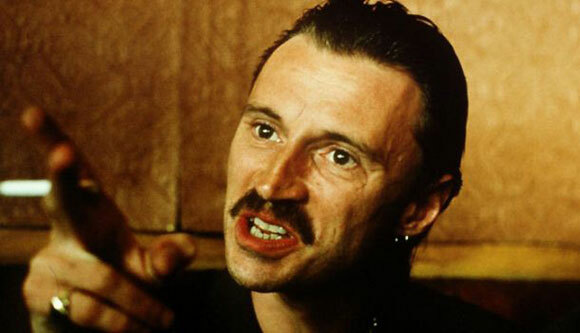 Francis “Franco” Begbie must be one of the scariest, angriest drunken hooligans in movie history. Simply put, it was a mind blowing performance that should have put Carlyle well on the A list. 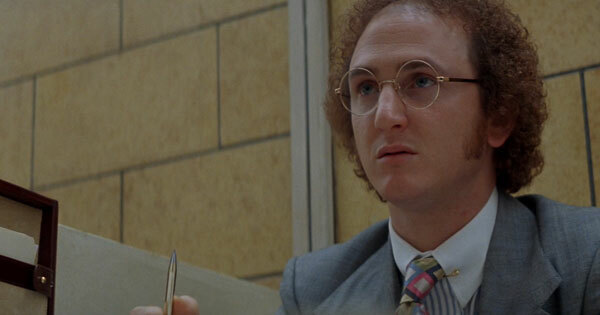 Penn is literally unrecognizable as the crooked lawyer of Carlito Brigante (Al Pacino in another Oscar-ignored performance) with his reddish curly hair, receding hairline, sideburns, John Lennon glasses, cocky gait and continual smirk. It is arguably one of Penn’s greatest roles, which says something given he has already received two Best Actor statuettes – that being for Clint Eastwood’s 2003 Mystic River and Gus Van Sant’s Milk in 2008. A well known, yet strangely enigmatic, figure of the 20th Century, Lee Harvey Oswald led one of the most eventful lives in American history before he was (presumably) hit by the mafia at the relatively young age of 24. After joining the US marine corp underage, he served at a secret naval air facility in Japan before defecting to the Soviet Union. Unhappy there, he was allowed to return to America with his Russian bride, after which he became involved with gay pilot David Ferrie (played by Joe Pesci in the movie – another performance that could have been on this list) and ex-FBI Chicago bureau chief Guy Bannister (Ed Asner), two of the shadowy figures in the periphery of the John F Kennedy assassination on November 22, 1963. In JFK, Oldman plays Oswald from the time he defects to the moment he is shot in the basement of a Dallas police station by Jack Ruby (Brian Doyle-Murray) following his arrest for the lone shooting of the US’s 35th President. 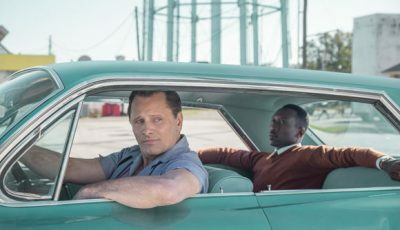 It could easily have been a film in itself, but director Stone decided to tell most of Oswald’s story in flashback – including a terrific recreation of the big day some years later by New Orleans District Attorney Jim Garrison (Kevin Costner) as he tries to nail businessman Clay Shaw (Tommy Lee Jones, who was nominated as Best Supporting Actor for his part in this movie) for JFK’s murder. Oldman is absolutely terrific as the brooding self-proclaimed patsy, particularly when Garrison is pulling The Warren Commission’s conclusion (that Oswald acted alone when he assassinated Kennedy) apart in his case for the prosecution. THE WINNER: Jack Palance for City Slickers. 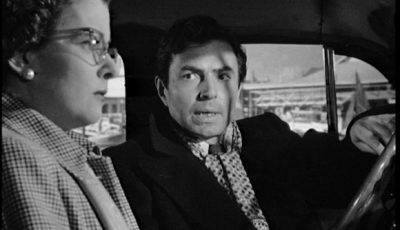 As Butch, the washed out boxer who refuses to throw a match for the mob, Willis carries the middle section of the film on his shoulders. Indeed, his story is one of the two major narratives running through the film – the first being how a gangster’s hit-man Jules Winnfield (Samuel L Jackson in a performance that should have earned him not the Best Supporting Actor nomination that he did, but a Best Actor gong nod before his co-star John Travolta) experiences some kind of catharsis after surviving a shootout and decides to leave the life of crime; the latter about how the-on-the-lam Butch must go back to his abandoned flat to retrieve a left-behind gold watch that has been passed down through the generations of men in his family. While Willis still does have his distracters, with Pulp Fiction he reminds everyone why he is still a superstar. THE WINNER: Martin Landau in Ed Wood. Over to you: what supporting actors missed out on an Academy Award? 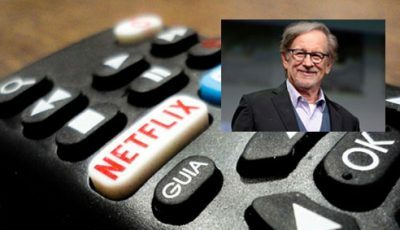 Dreyfuss is Jaws – great call! Undercover cops who get gut shot by a civilian and spend most of the film bleeding out never get enough loving! Also. Great catch on Sean Penn in ‘Carlito’s Way’. Great choices. Love that Carlyle is on here for Begbie. And Penn, and Sizemore and Roth. I was surprised Dane DeHaan didn’t get nominated for Place Beyond the Pines. Awesome to see Carlyle and Willis here, these two’s performances are definitely some of the memorable things in their respective films. You’ve selected some real gems here Mark. 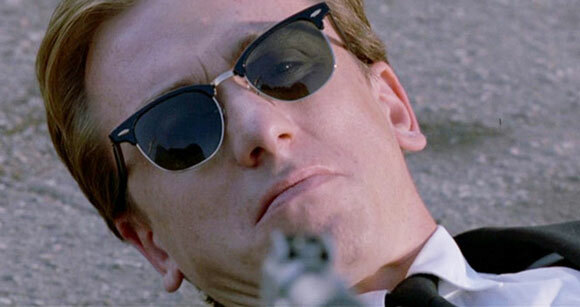 The first few times I watched Reservoir Dogs, I didn’t think much of Roth’s performance, but the more times I see it, the more I appreciate it. Props for including Eli Wallach, Robert Carlyle, and Sean Penn. All stand out efforts. Although Pulp Fiction is largely credited for reviving Travolta’s career, I firmly believe it helped get Willis back on track with his too. It’s great to see Bruce Willis get the credit he deserves for Pulp Fiction – I still think it is my favourite performance by him outside of John McClane’s world (at least his world in parts 1, 2 and 3). 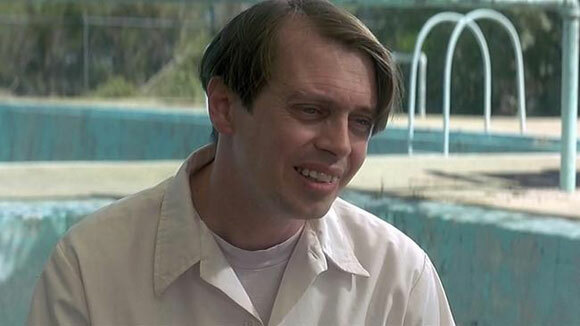 Not really taken by the comic book villainy and heroism in Con Air – it’s high concept thrills wore off a long time ago for me – but Buscemi is definitely an actor who fails to get the attention some of his performances deserve. Trees Lounge and Fargo spring to mind. 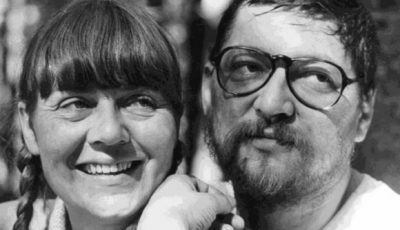 The fact he also directed Trees Lounge is commendable and I also really like prison drama Animal Factory (which he directed). 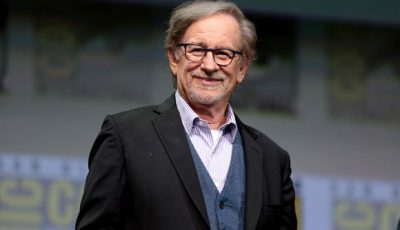 I second (or third) the call for Dreyfuss in “Jaws”. I also love the mention of Wallach for Good,Bad, Ugly. Two great mentions there. Michael Pena in End of Watch was brilliant, I was surprised when he wasn’t nominated – and the failure to nominate Daniel Bruhl for Rush is going to annoy me for a long time to come. 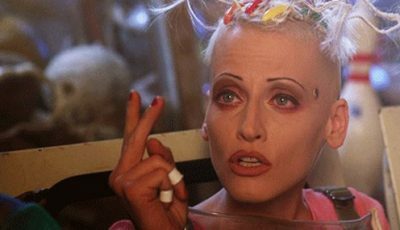 Love the list and have a real soft spot for Buscemi in Con Air. Some great choices here, man. I particularly liked the inclusion of Sean Penn and especially Robert Carlyle. His Begbie is one of my all time favourite characters and performances. AMEN to your #1! Willis was outstanding in that film, and the fact that he is still NOT an Oscar nominated actor is gross. I have only seen 1, 7, 8 and 9. But I agree on all four – they were fantastic and deserved acknowledgement. Great pick with Eli Wallach! Completely agree, he was remarkable in that film. Recently, I’ll go with Sam Rockwell for The Way Way Back. Great idea for an article. Well argued too. @all – Thank you for taking the time to read this and say something. Plus a heart-felt happy Easter to you all, whatever your leanings might be. I must admit I wouldn’t have thought of Dreyfuss, but yes that makes perfect sense. Firstly, James Woods in Nixon. I’ve crapped on about this before, but at its essence the film really is about how Nixon screwed Halderman and, more importantly perhaps, how Halderman took the fall. The second is Jude Law in AI. Like Willis in Pulp Fiction, he carries the bulk of the film on his shoulders, and does so admirably. An incredible performance.